Newham Swords Wins BF Best Club of the Year Award!! Newham Swords managed to make the final shortlist for 4 BF Awards but won the BF Best Club Award! Photo shows Pierre and Linda proudly holding their Award. 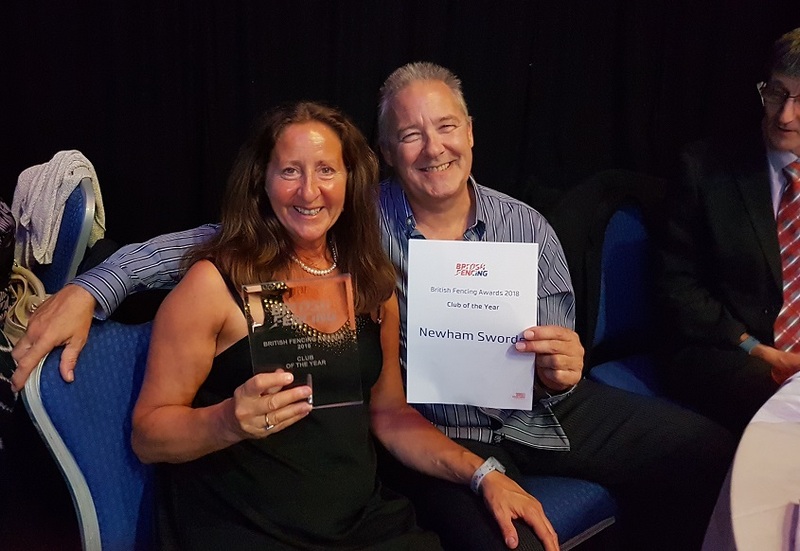 Linda and Pierre – Club of the year 2018 – Newham Swords! ← Teagan Gains First Senior Selection For GB!